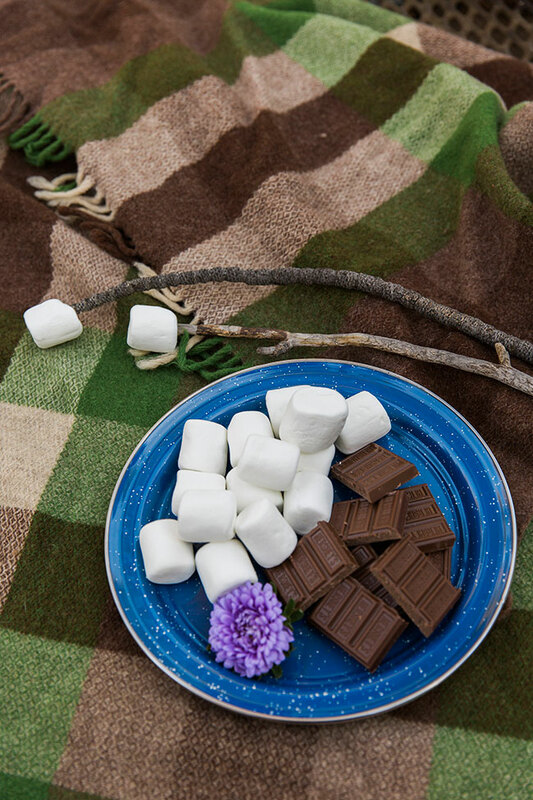 I’d be completely full of it if I tried to pretend I liked camping. 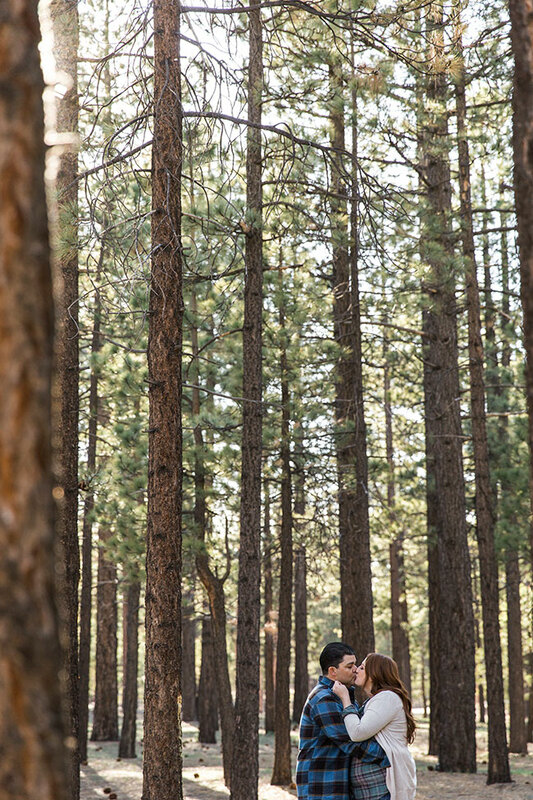 I do however, in an odd twist, loving just about everything associated with it! 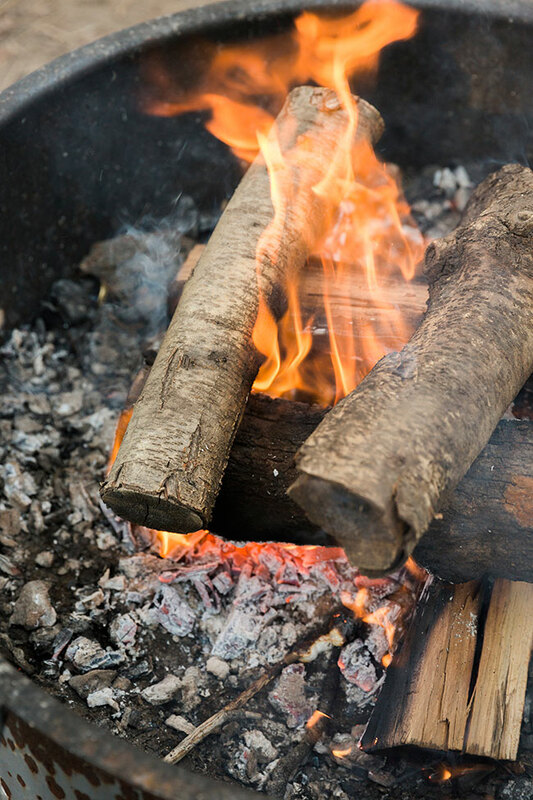 The hiking through nature, cooking over an open flame, the smell of toasted marshmallows wafting in the wind, and even the gear, just don’t make me spend the night! 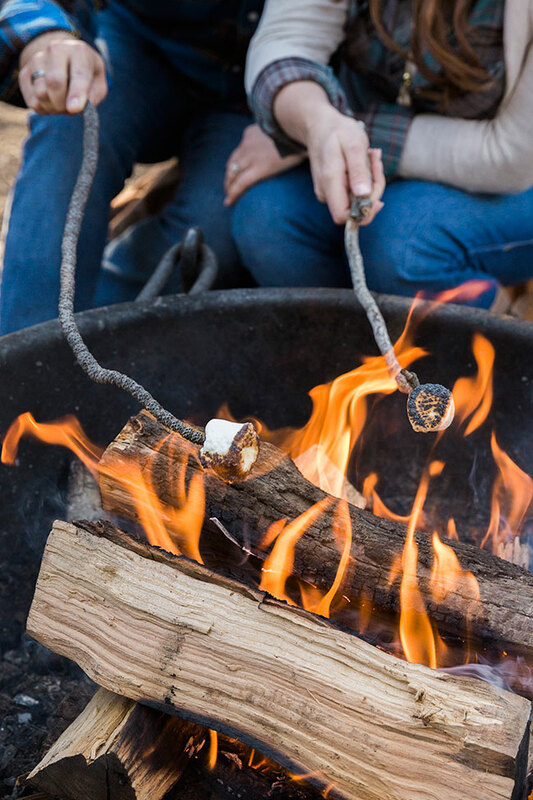 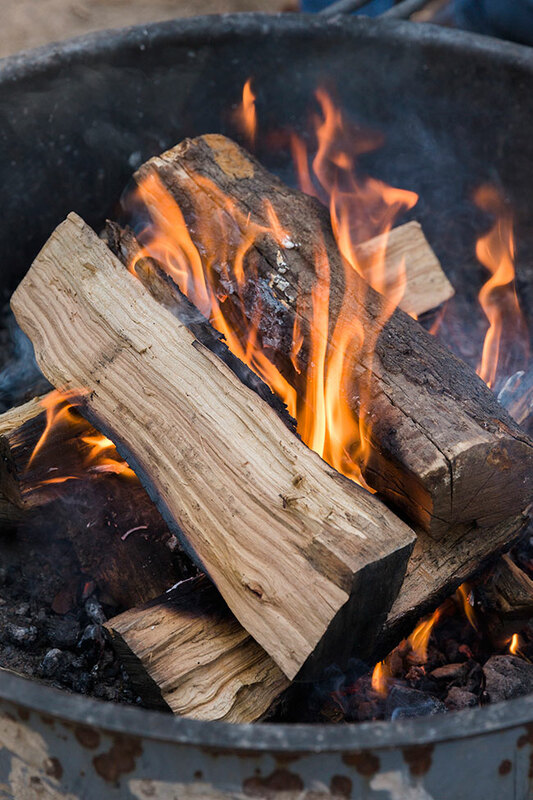 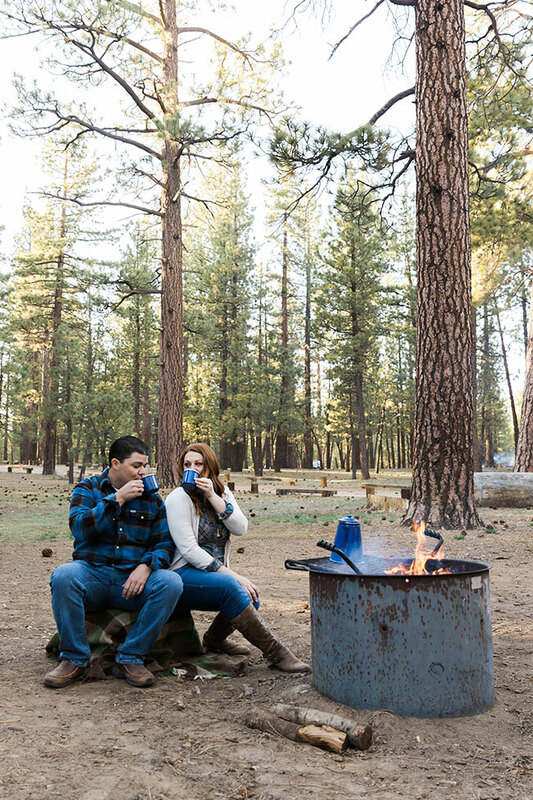 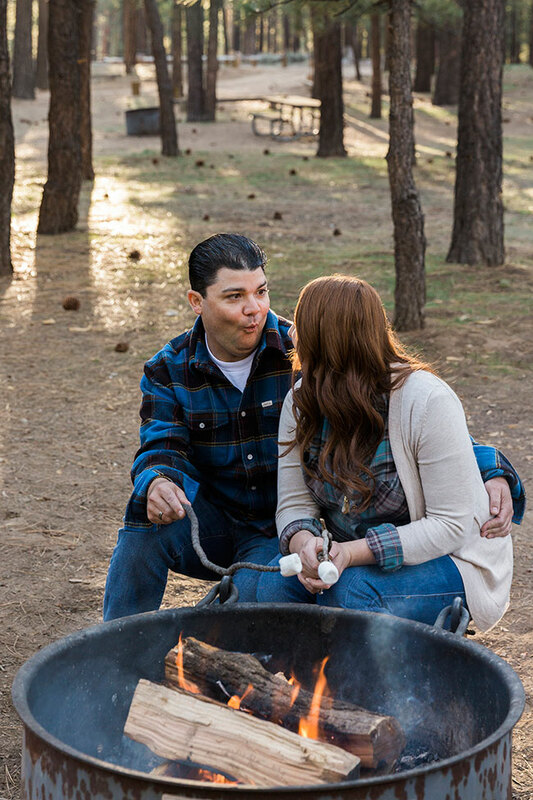 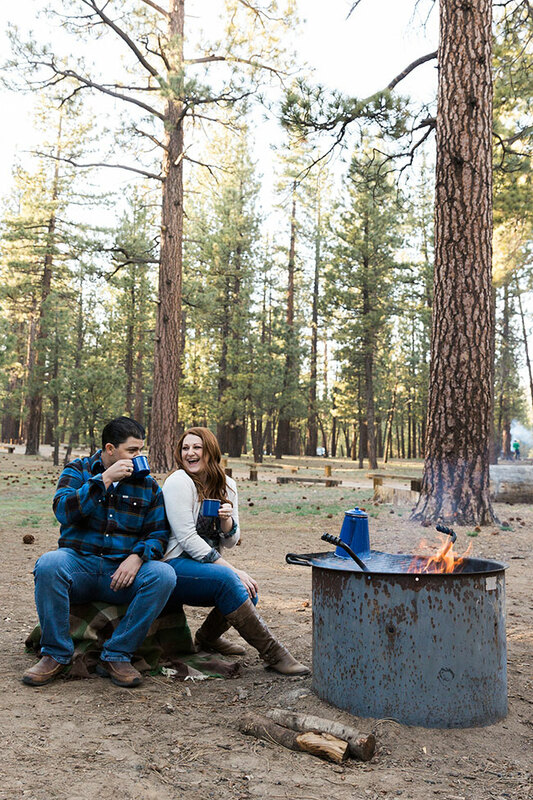 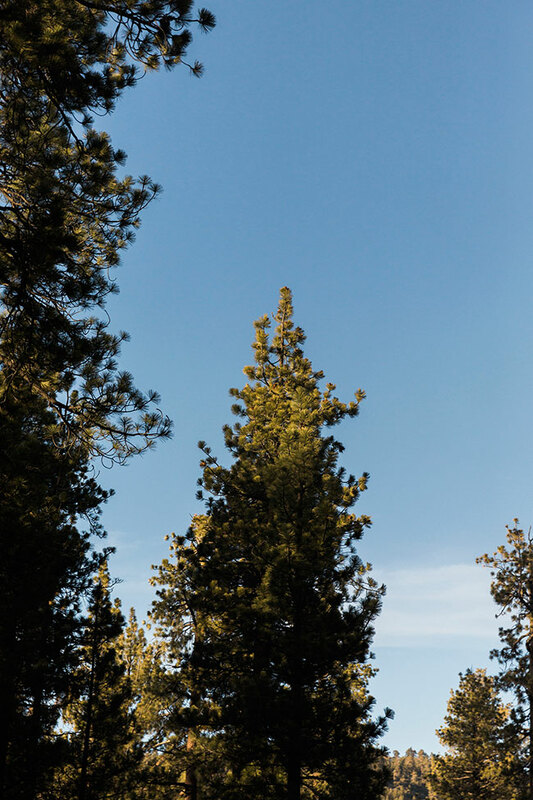 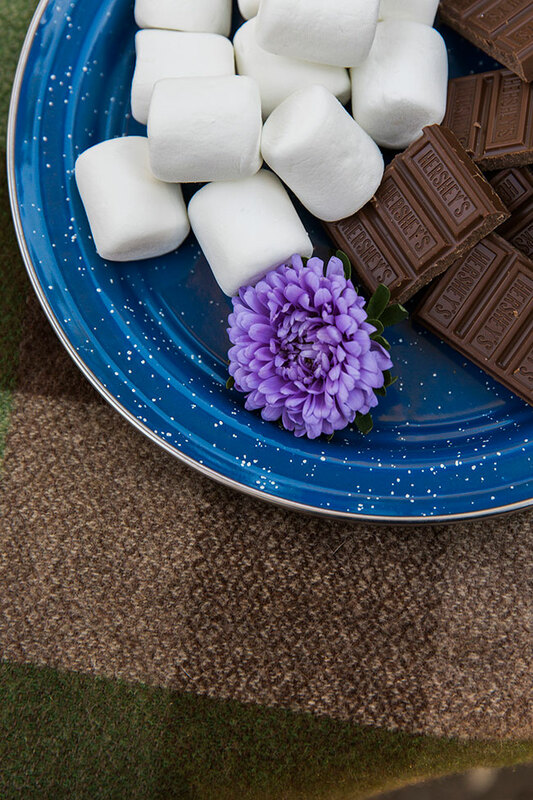 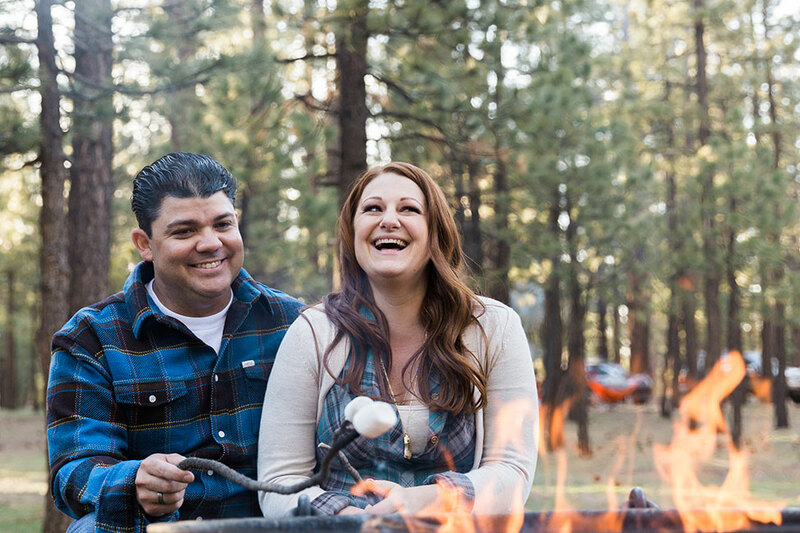 As a ‘theme’ camping and campgrounds are amazing with tons of opportunity to play and gorgeously Americana filled. 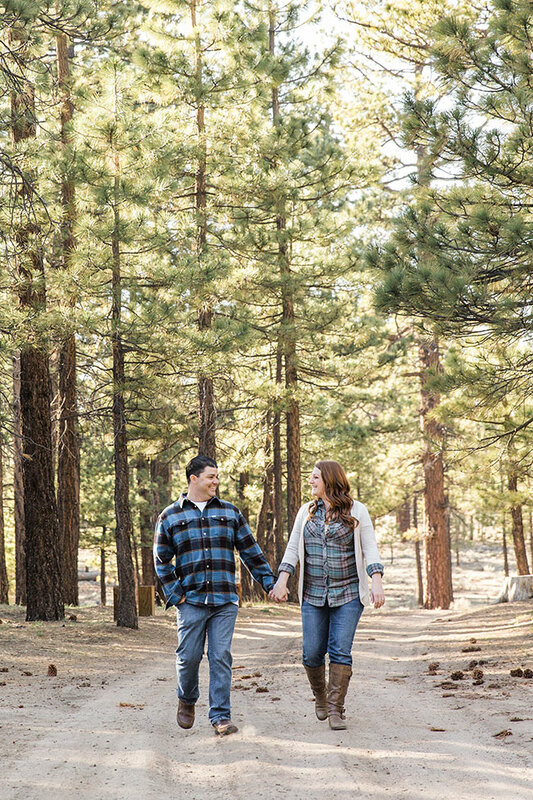 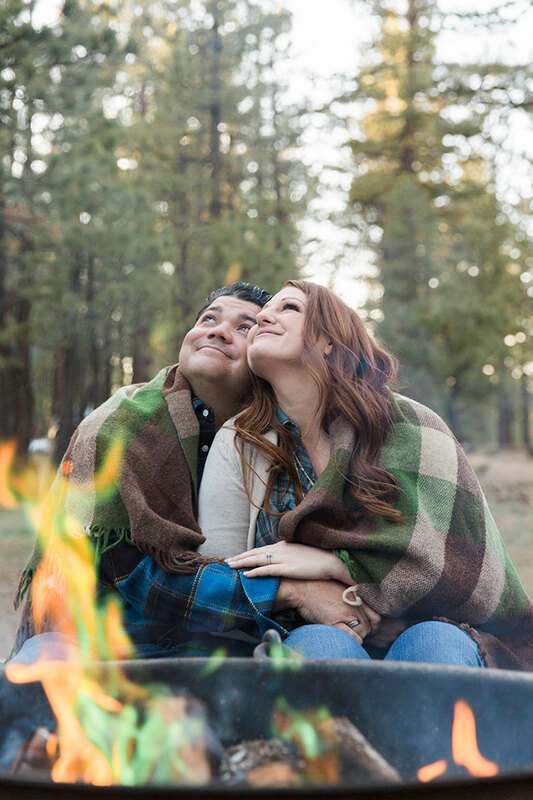 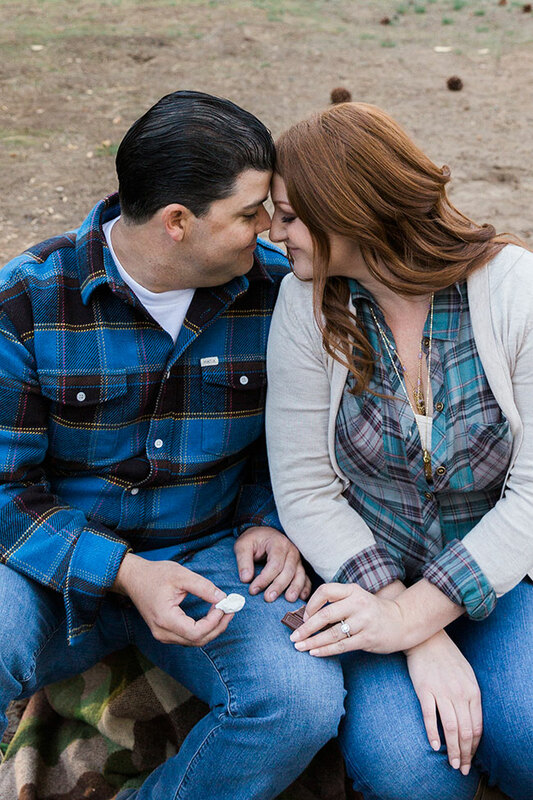 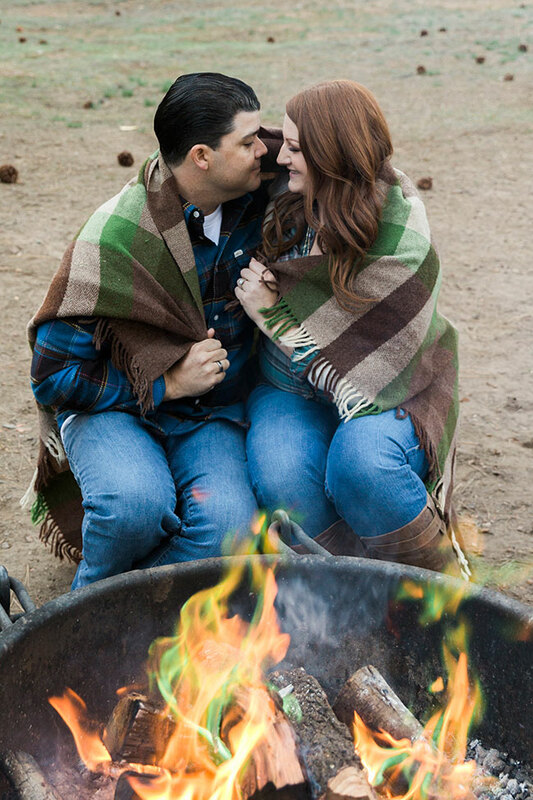 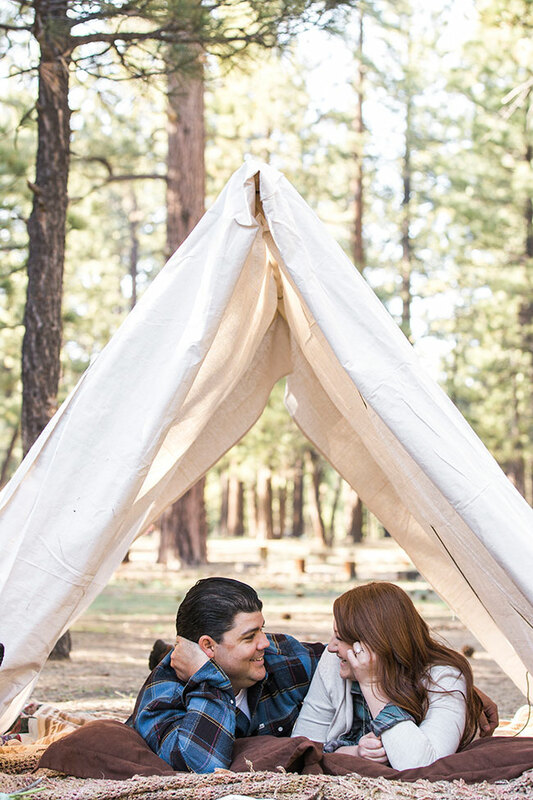 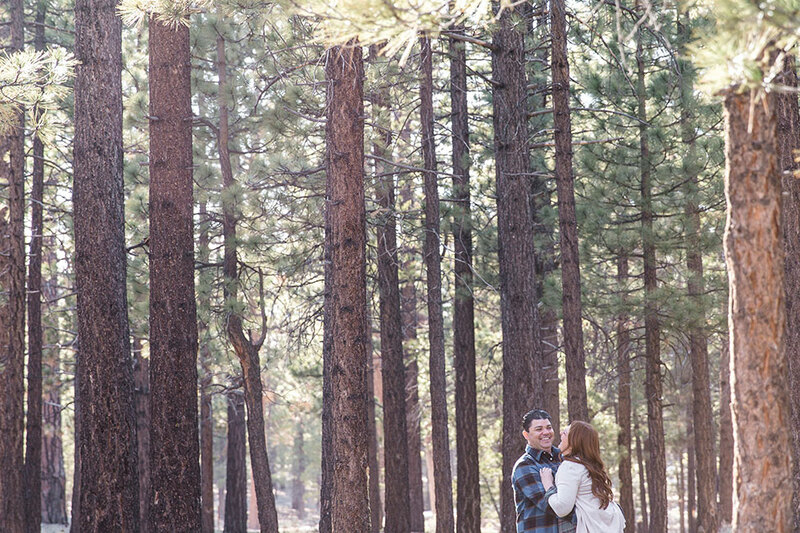 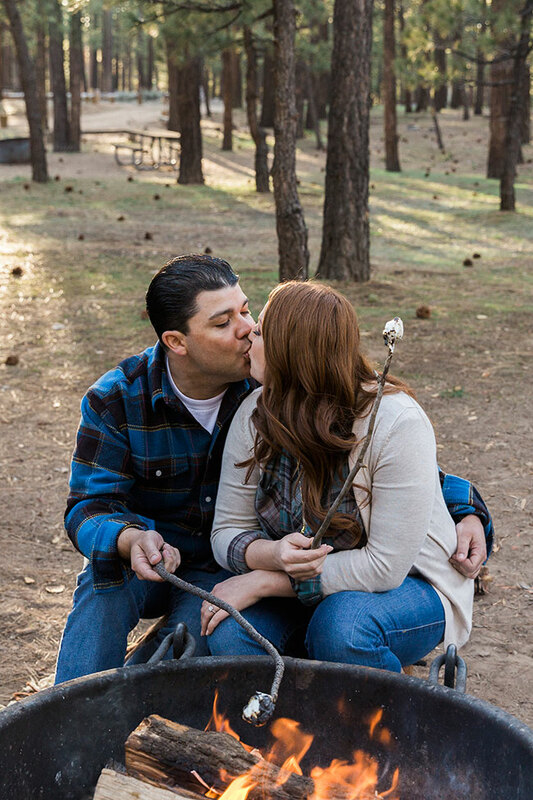 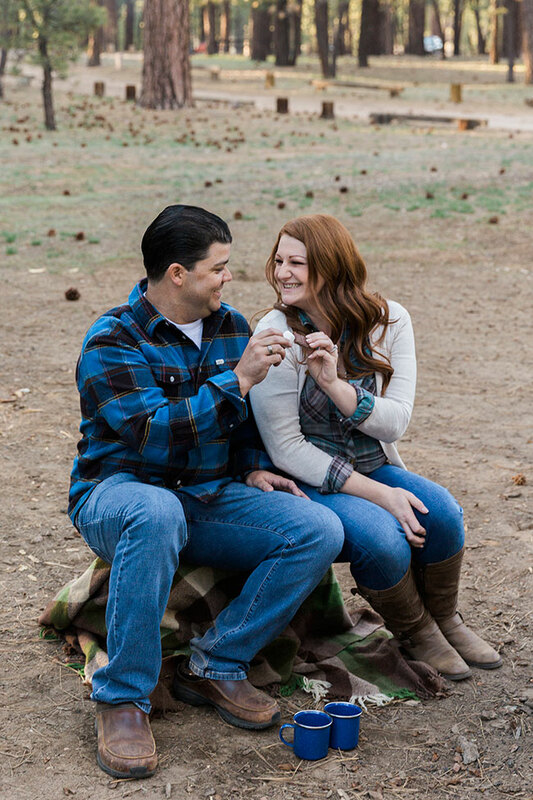 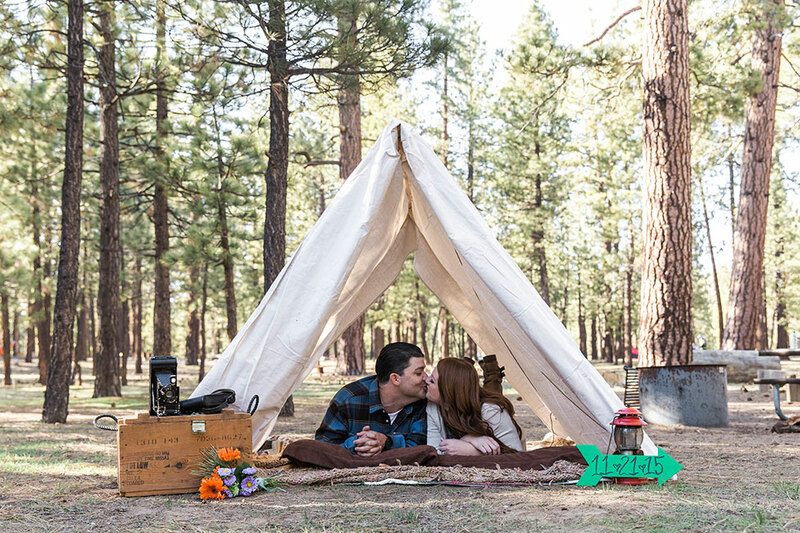 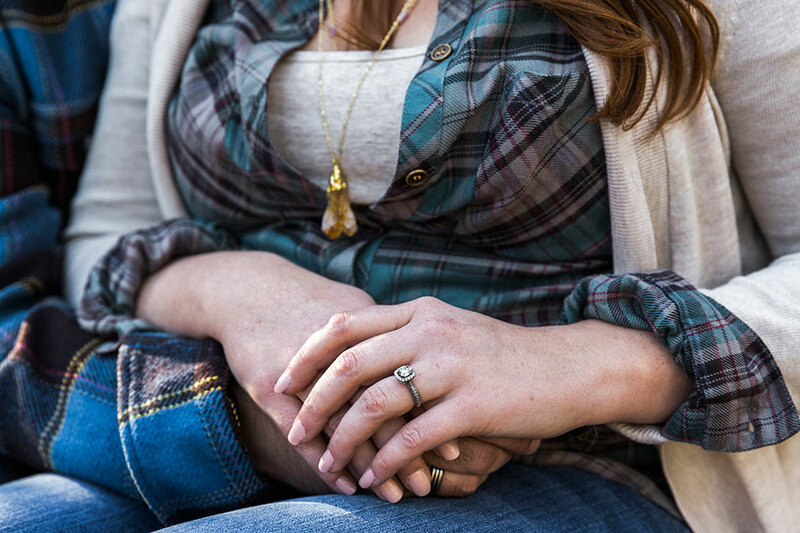 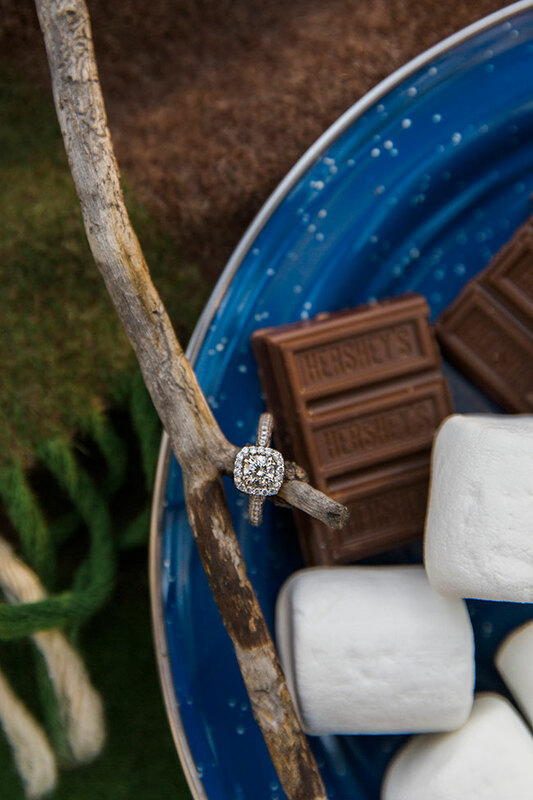 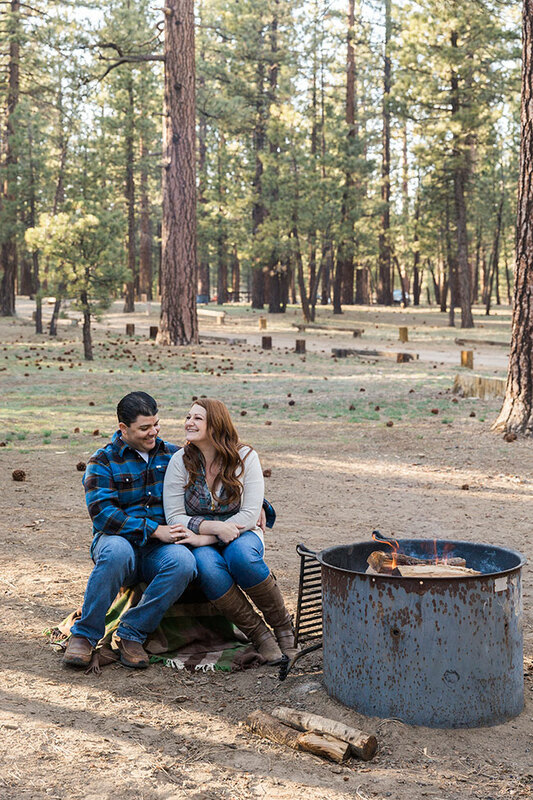 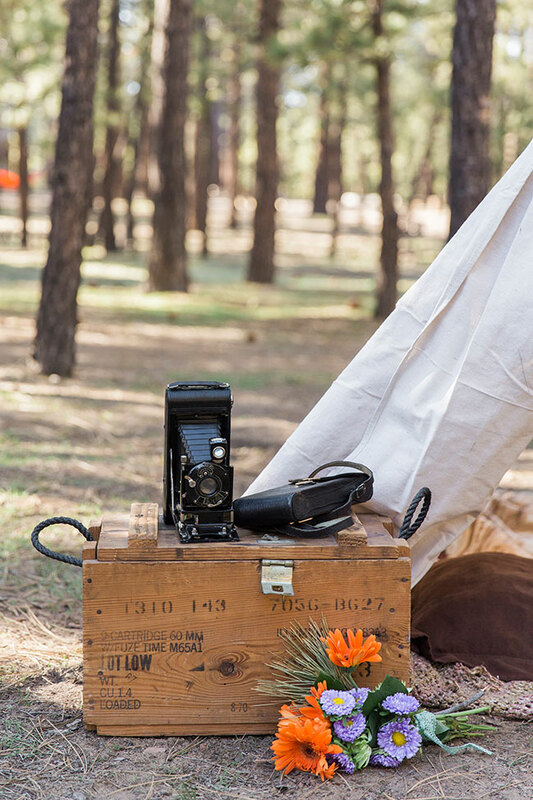 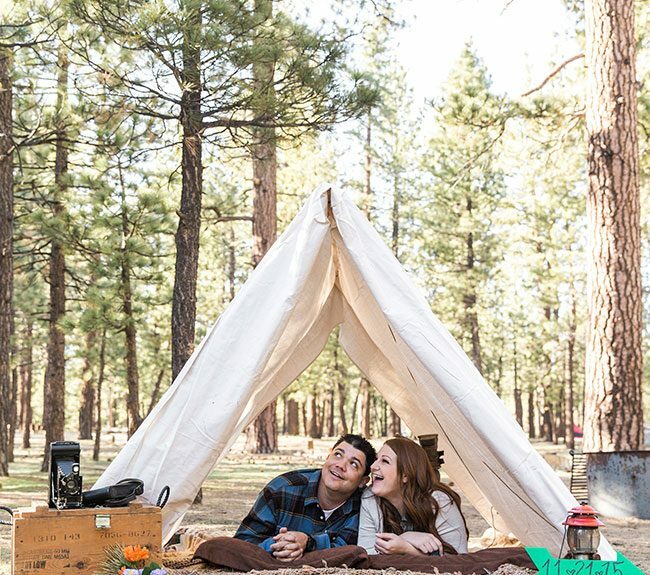 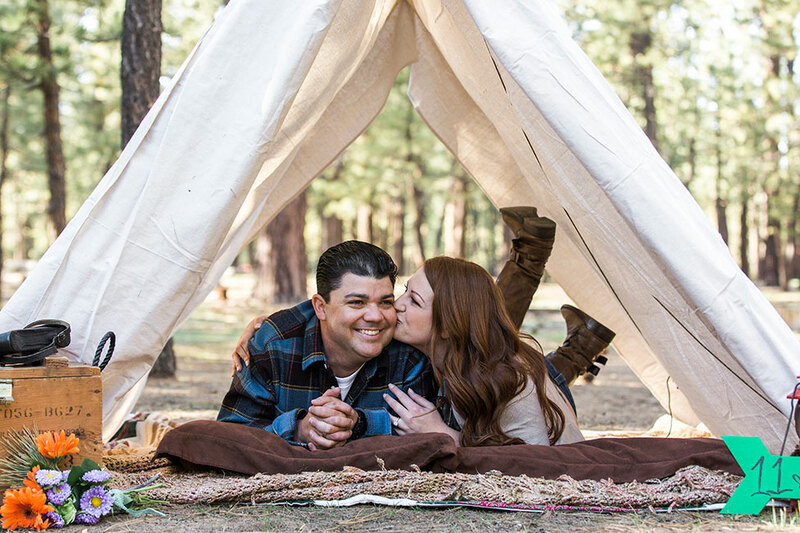 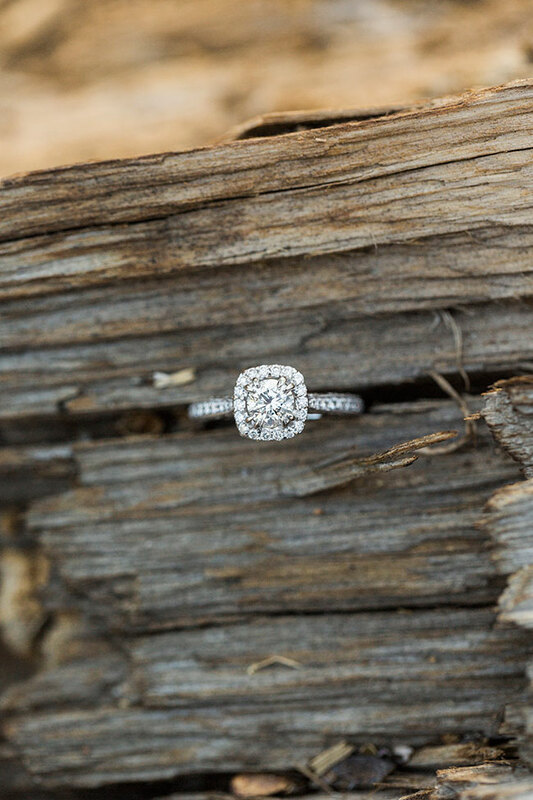 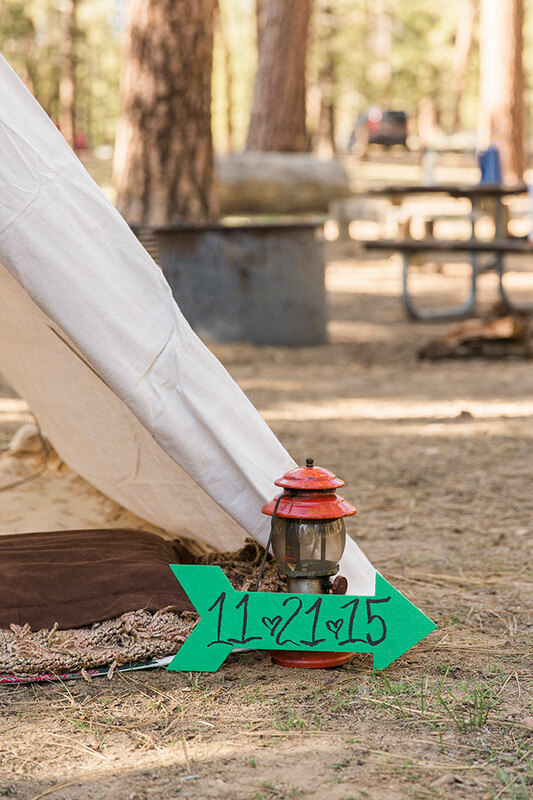 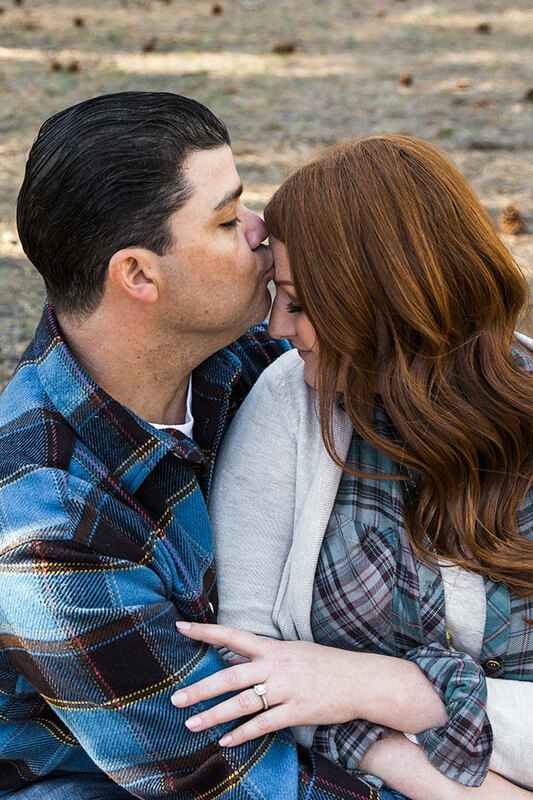 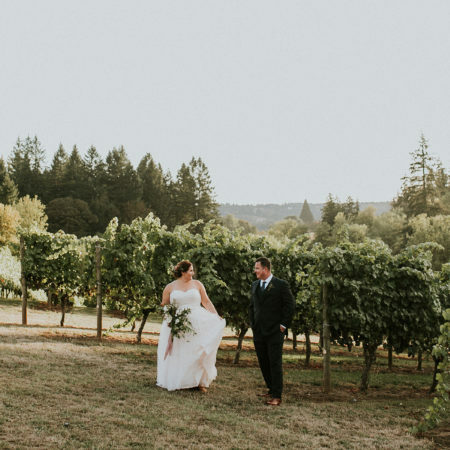 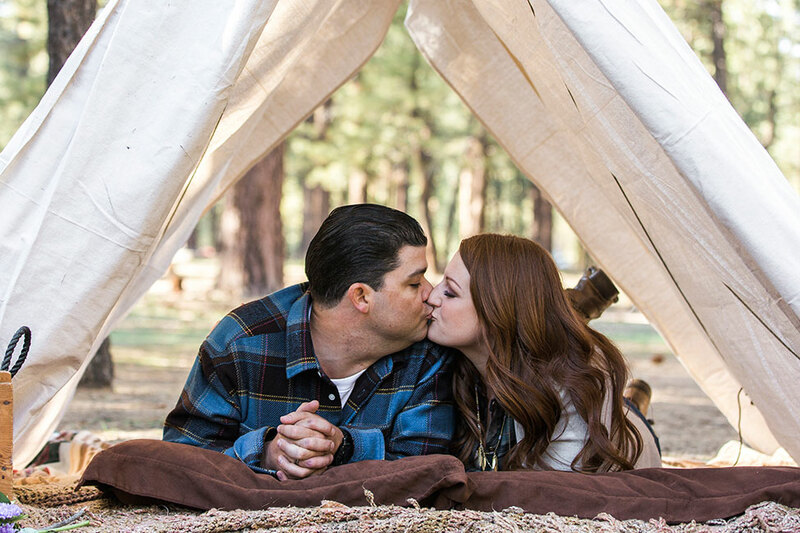 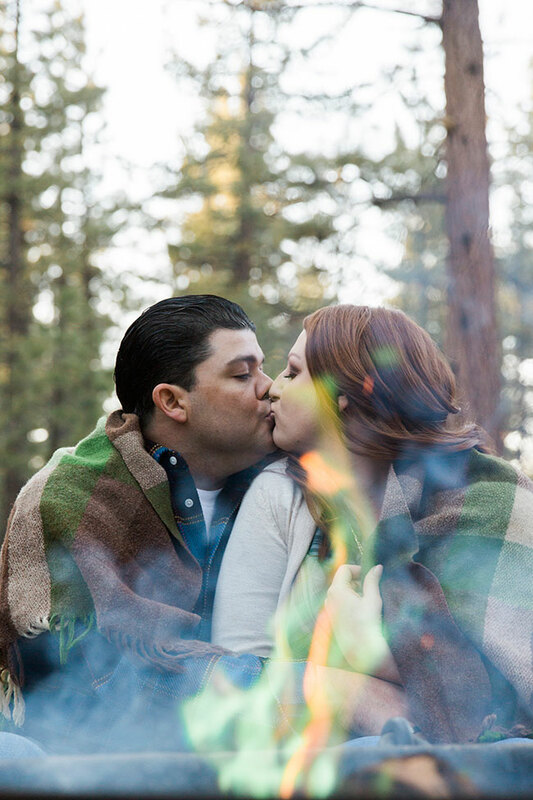 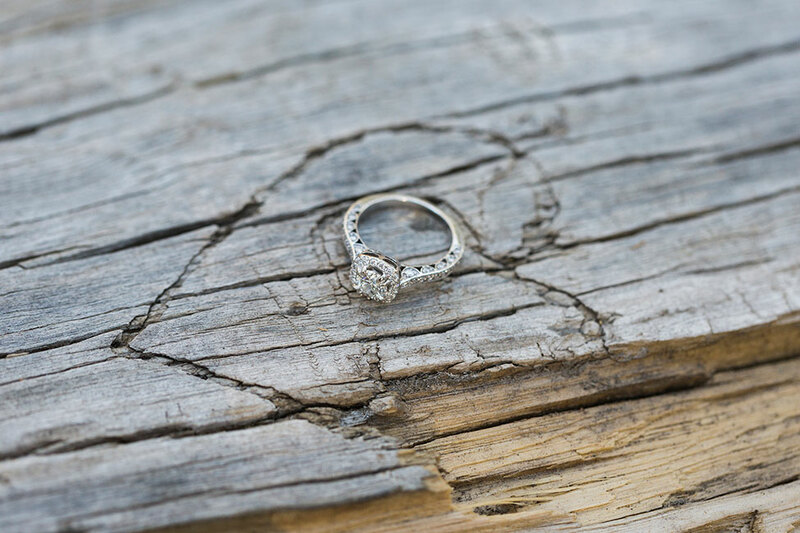 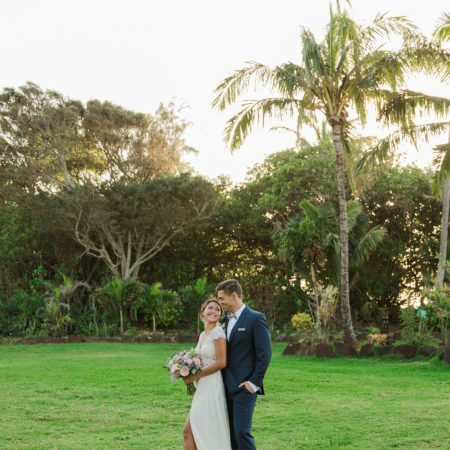 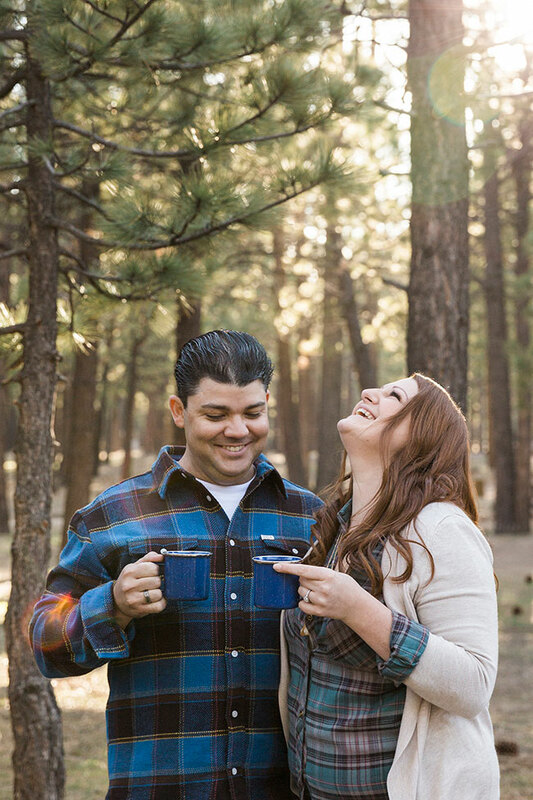 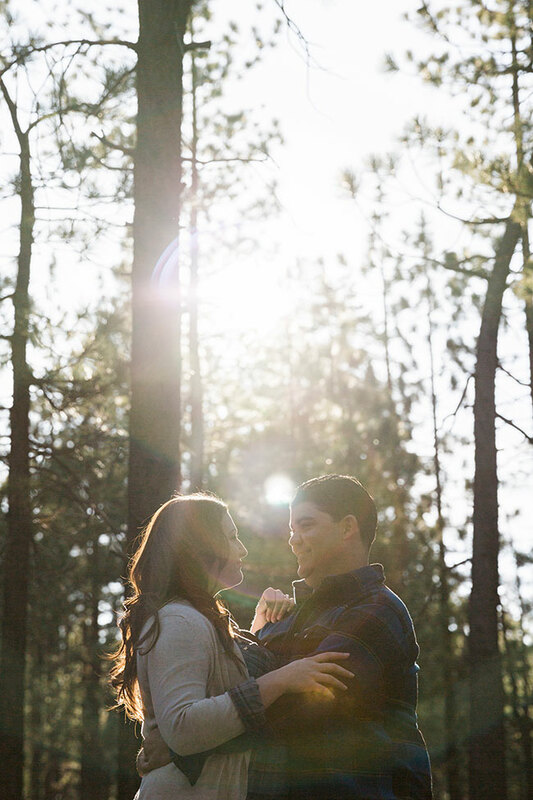 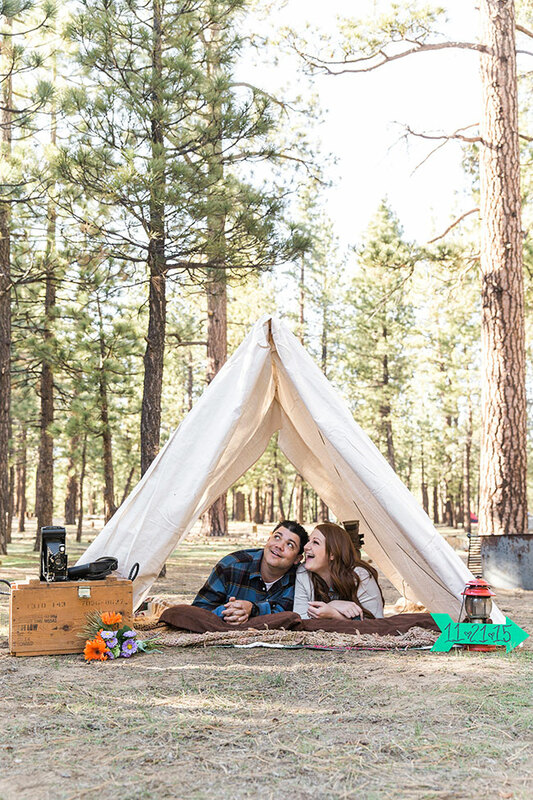 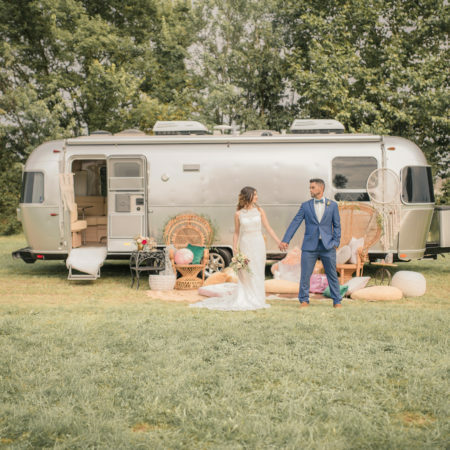 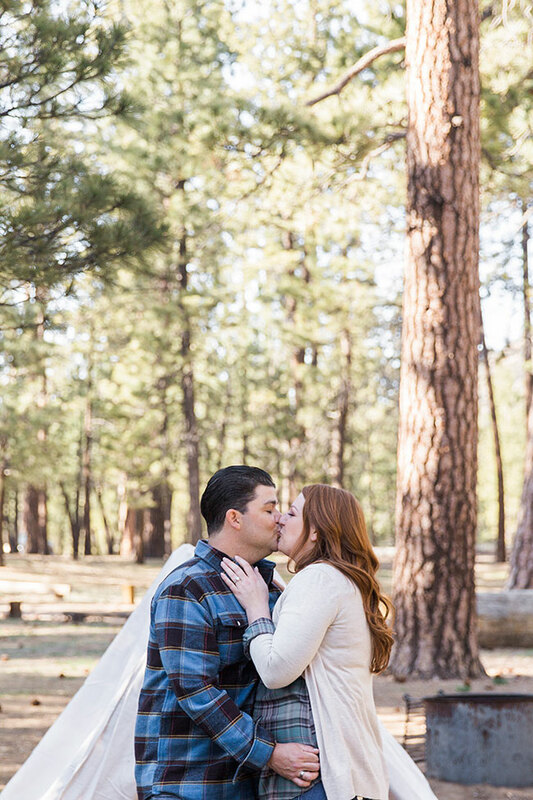 Its not hard to see why Amanda & Charlie were totally into the idea of a camp engagement, so much so that they crafted their set, tent included! 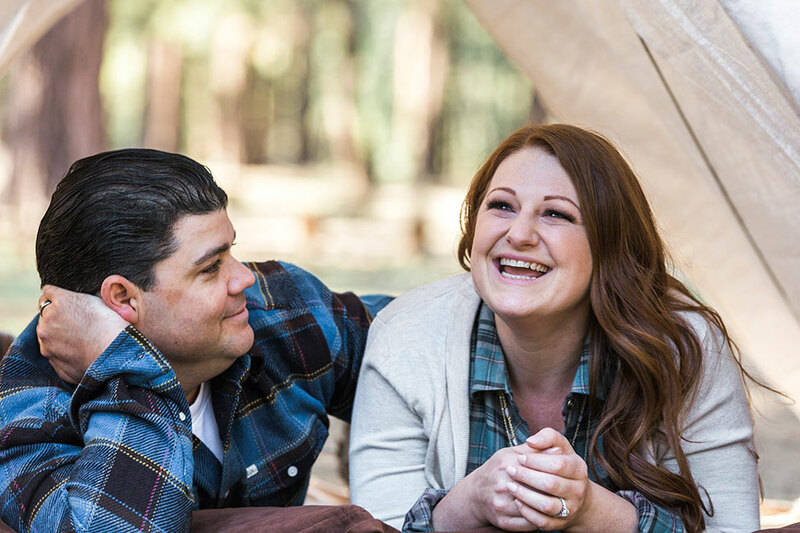 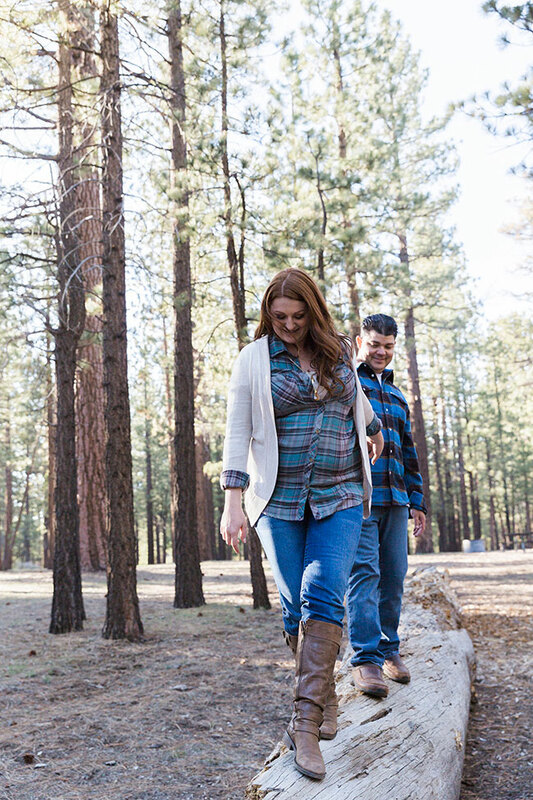 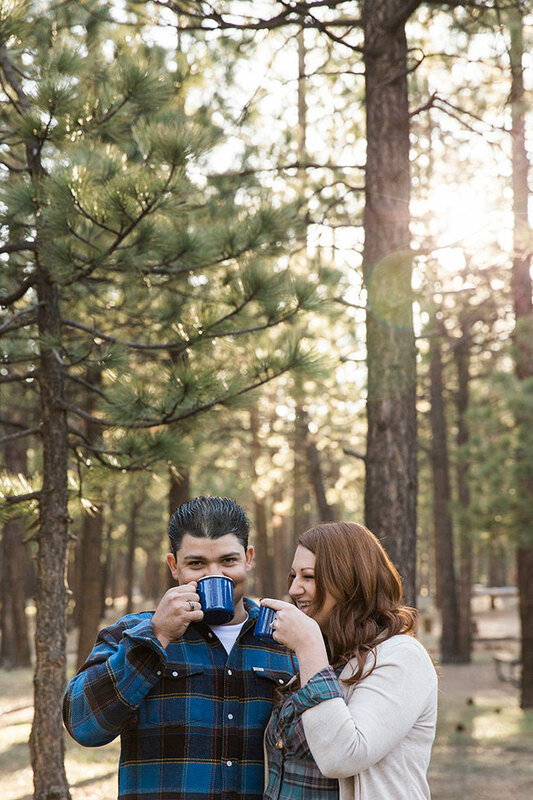 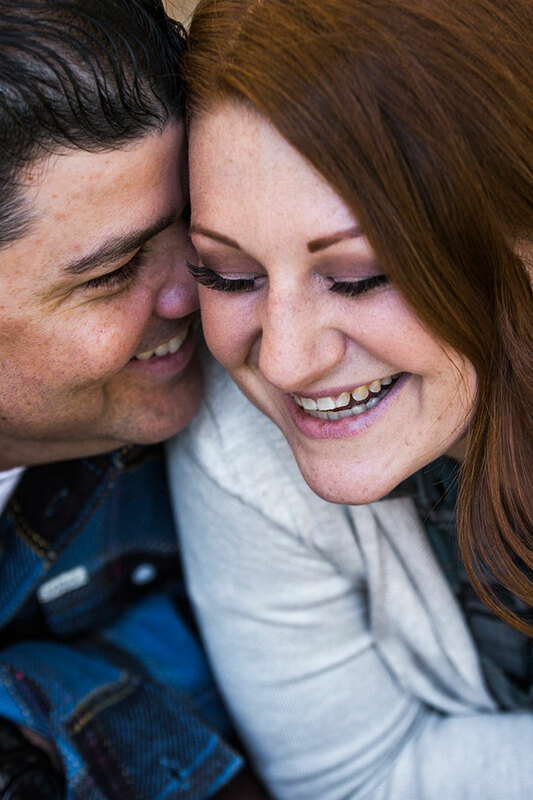 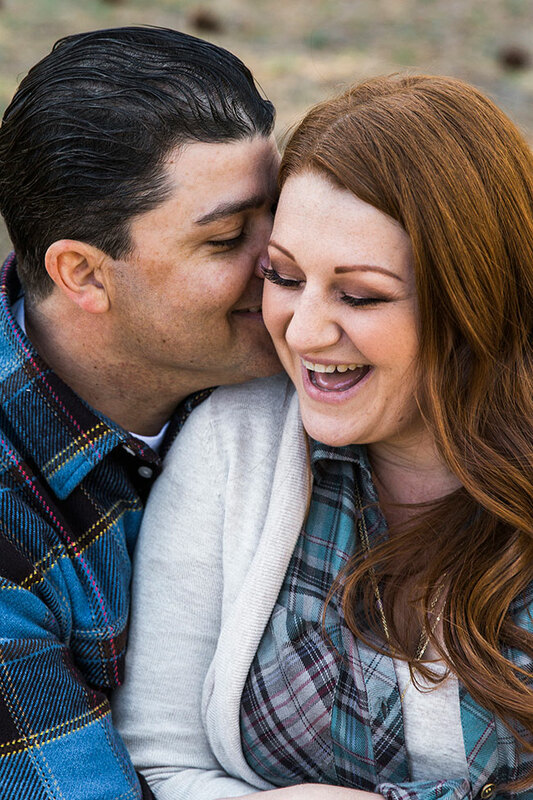 The result is a super fun outdoor nature filled camp engagement session with sweet tend moments right along beautifully dead pan faces and boisterous laughter that comes through the screen. 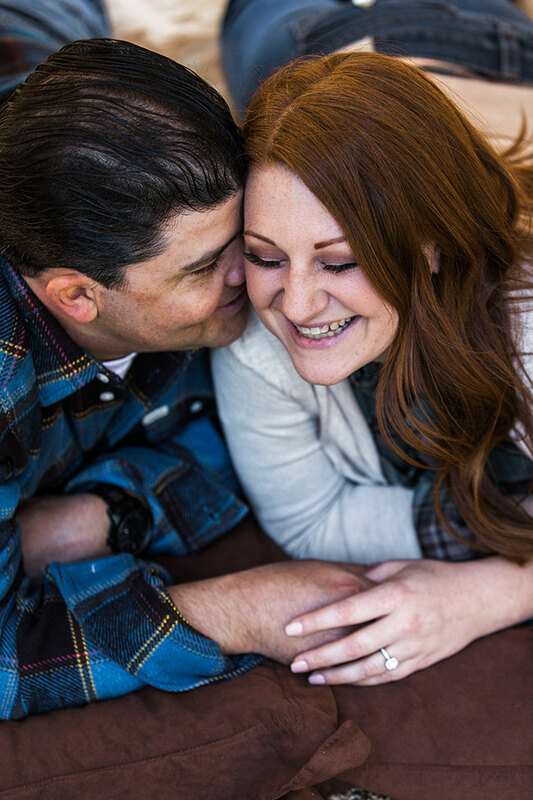 I am all for overly smoochy sessions, but when pressed for the truth, I’ll take a couple having THE best time together any day!